Passive mode is when X-Win32 is running without a connection being established. X-Win32 will be passive until X communication is being received by the Windows machine. Once received, X-Win32 will translate and display. Using a third party application such as Putty or SecureCRT to connect to their Unix/Linux host and require X traffic to be translated. Users who are being sent X communication from another computer. User has an X application on their Windows machine that needs to be translated. When executing X-Win32, X-Win32 will run in the foreground with a session option window prompted. Start X-Win32. X-Config window will appear. 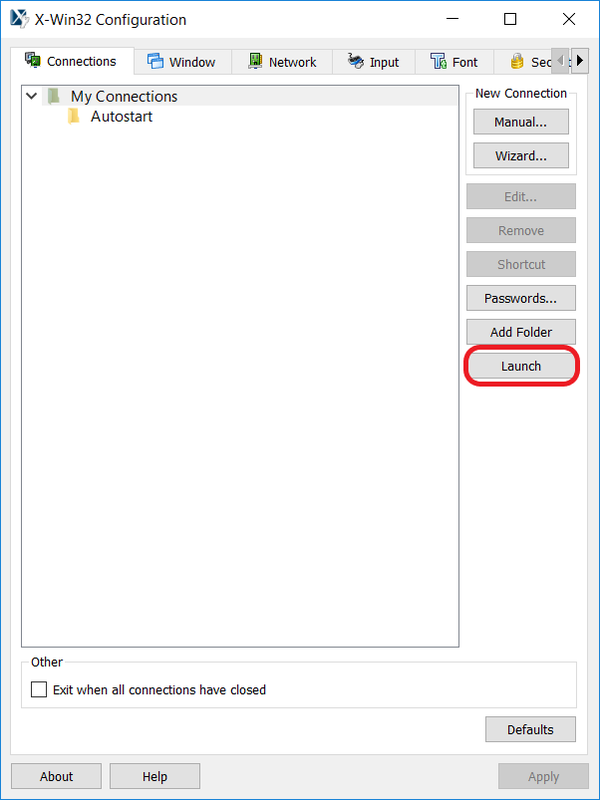 If you do not have any session created, click the “Launch” button located on the right of X-Config. 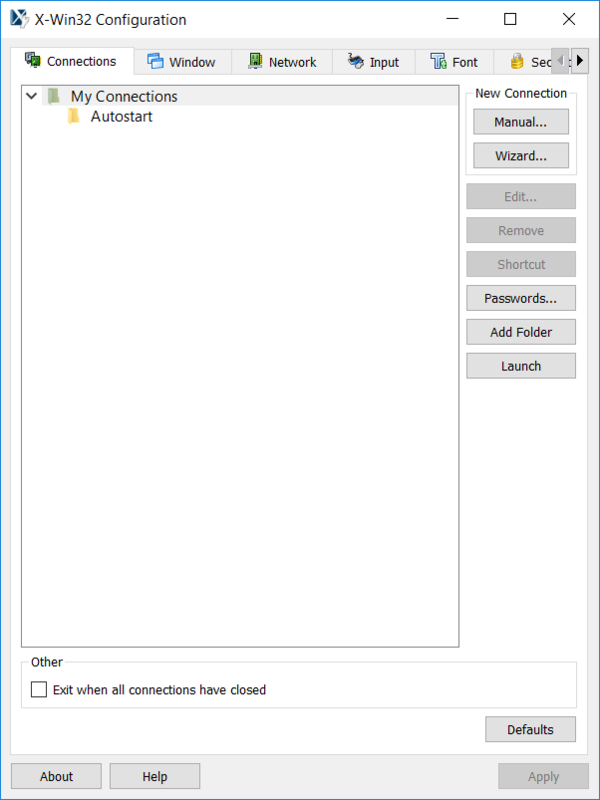 When launched, X-Config and the X-Win32 session option window will appear. The session option window indicates that X-Win32 is running. Launch the session. 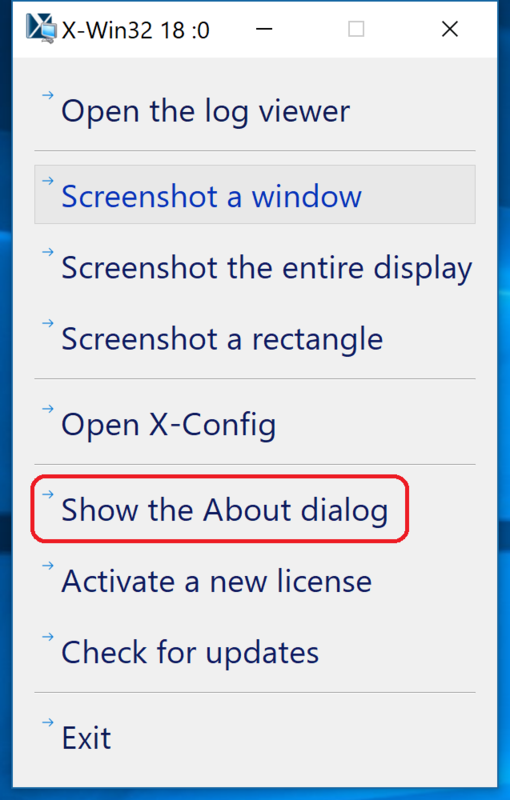 The session option window will be prompted which indicates that X-Win32 is running. 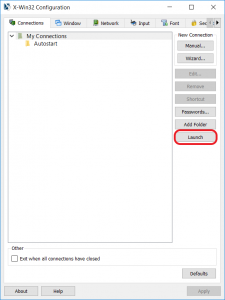 Create a shortcut for the created session by right clicking on the session in X-Config and selecting “Shortcut”. Launching from the shortcut will run X-Win32 without X-Config. Simply launching X-Win32 will run X-Win32 in Passive Mode in the background under the system tray. Using a third party ssh application and setting your own display will cause the X traffic to be transferred over port 6000 instead of using the default ssh port 22. To use ssh port throughout the session, please enable X11 forwarding on your host and ssh application. Also, do not set your display.